Toomin & Bieber (Burbank) - Book Appointment Online! Welcome to the dental offices of Lawrence Toomin, DDS, FAGD and Mark Bieber, DDS. Our doctors and dental staff are committed to offering exceptional dentistry in a comfortable and modern setting. Drs. 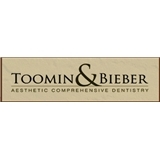 Toomin & Bieber have served the Los Angeles area for many years, and have had the pleasure of creating naturally beautiful smiles for even celebrity patients. I was a first time patient and he took the time to sit down with me, got to know me and my back story not just my teeth. His team was very understanding and went above and beyond to help me. I felt very welcome and happy with my choice.